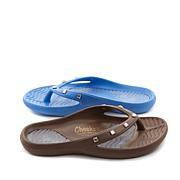 Make a splash in fashionable sandals that feel good, too. 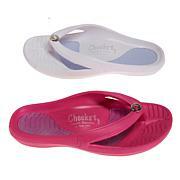 With contoured footbeds and cushy gel inserts, these lightweight thongs are a treat for your feet. LOVE THESE SANDALS. I HAVE ABOUT 6 PAIR. I HAVE A FOOT PROBLEM AND THESE HELP ME ALOT. A dream on my foot! Love these! Perfect fit and the comfort is unmatched! True to size!! Havent had a chance to wear these yet but can tell that they are going to be super comfortable. Also love the style, had I known I would have ordered a second pair before my size ran out!! 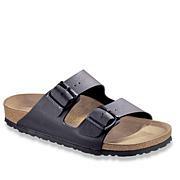 These sandals ran very true to size and I will definitely look to order another pair someday! This is my first purchase of anything from Tony Little. Seen these cute printed health sandals on air. 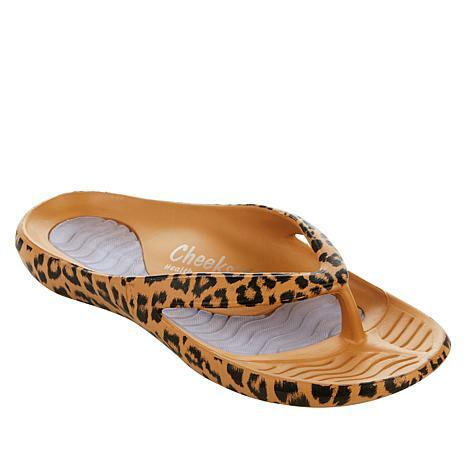 I purchased the leopard print sandal in size 10 which is my normal size and the fit is perfect. 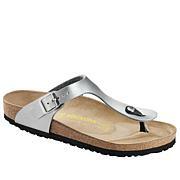 These sandals are so form fitting and comfortable since they have the gel footbed. These look so cute with capri or ankle length jean's or khakis. I have received so many compliments. Can't go wrong with this purchase. Fashion and comfort for your soul ... and your sole. Figs Flex technology is a new footwear solution that bends with your foot, providing comfort that must be worn to be believed. The black leather, slip-on design is the perfect pair for everyday use.